One of the biggest perks of my job is the opportunity that I personally get is to gain knowledge from experienced professionals about what they do and how it helps improve people’s lives. 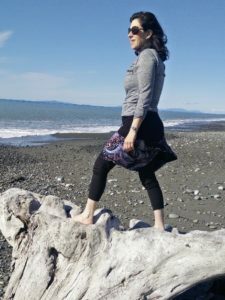 I use this “Meet and Learn” section of my little blog universe to educate and connect. I will periodically introduce you to a practitioner or practice that you may not know much about. The goal is for you to learn what options for healing are available to you. I’m a movement and alignment coach. What’s that, and who needs one? Well, probably you, if you’ve been sitting in a chair (working, driving, relaxing) for more than eight hours a day, most of your life. And probably you, if you have foot, knee, hip, or back pain; neck tension, sore shoulders, a rounded upper back; or core, urinary or pelvic floor issues. I usually start by looking at your alignment, since our modern lifestyle has really messed with that. Our bodies are not an arbitrary arrangement of muscles and bones, but a specific pulley and lever system, which, when out of alignment, can cause friction, inflammation and disease. Using bony markers on your body, I show you where one body part should to be in relation to another, so that your alignment starts to more closely resemble the skeleton at your doctor’s office, which is in anatomical neutral. Here is one alignment point to try. Stand sideways to a mirror and back up your hips until the midpoint of your hip is in a vertical line with the midpoint of your knee and ankle. You can use a belt or yoga strap as a plumb line (buckle side to the floor) to help you measure that. If, in your normal standing posture, the buckle sits in front of your ankle bone, this means you habitually ‘wear’ your weight forward, over the small bones of your feet. Got foot pain? This is your first fix! But good alignment is not easy to achieve as our habits have left us with ‘sticky’ bit – your body adapts to the position it is in the most. So, for example, when you get up from your chair, you are probably not really straight. You are more than likely making various compensations so that you LOOK like you are straight, which puts you even more out of alignment and prone to pain. I therefore teach a series of corrective exercises to get all your parts strong, working well and moving better so that your body can eventually easily fall into a more neutrally aligned position. My favorite corrective is the Calf Stretch (pictured). Our heel-wearing and sitting lifestyle has left our calves chronically shortened, which negatively affects our entire alignment and gait pattern. 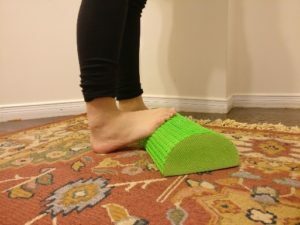 Test your calf length by resting one foot on a half roller (or rolled up towel/yoga mat) and step forward with the other leg. Only step as far forward as you can without leaning forward. Feel any pulling down your leg? Our modern lifestyle has left us largely sedentary and prone to affluent ailments, such as osteoarthritis, diabetes, osteoporosis and cardiovascular disease; but the flip side of the sedentary coin is not exercise, it is movement. ‘Exercise’ is a relatively new phenomenon for humans. Interestingly, exercising 60-90 minutes a day, 3-6 times a week, and spending the rest of the time sedentary, means that we are moving only 4% of the time! This puts us in a new exercise category of ‘actively sedentary’. Shockingly, this category has similar health outcomes in terms of surgeries, medications, and death from cardiovascular disease to the couch potato. So I teach my clients how to get MUCH more (natural) movement into their day. Download my free ‘Five Tips to Move Better, Move More – Feel Great’ e-Book for some movement ideas that you can implement today http://bit.ly/2DfwB1k. Join my Move Right Now Facebook group (ladies-only) for free movement classes (upcoming) and movement improvement tips. For more information on Tracy and how to reach her, visit tracyseidermovement.com. Contact Tracy to ask her about a FREE 15 minute chat where she will answer any questions you may have about her services. 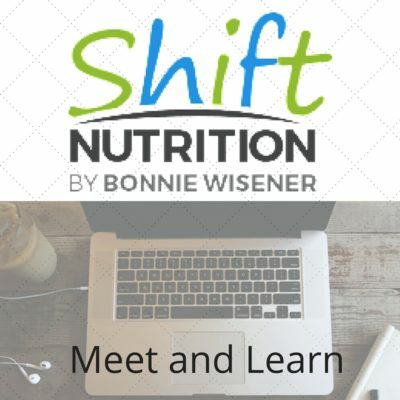 ALSO… Tracy has generously offered to give all Shift Nutrition and Wellness readers 10% off their first session. Hope you enjoyed reading this and learned as much as I did.